There is a multitude of uses for internal signage; from promotional displays to directional signs to branded plaques. Anthem Signs can do! 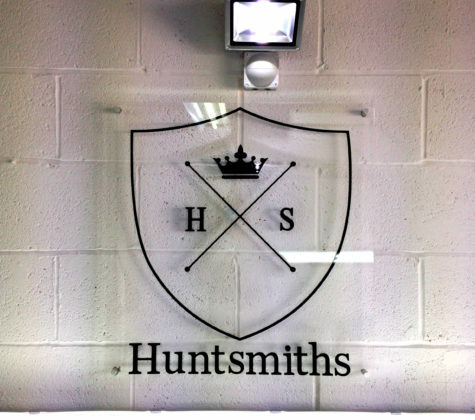 These clear transparent acrylic signs feature cut out lettering in black to create a modern and stylish way to present their branding as clients enter the premises. 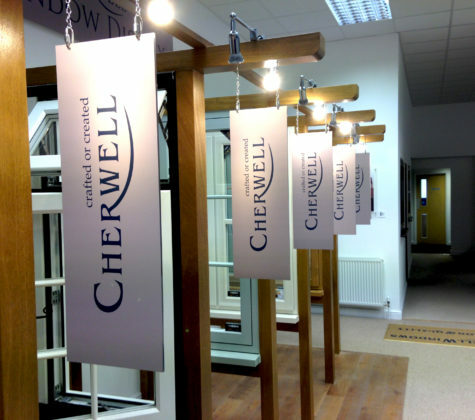 Cherwell Windows wanted to create a unique space in their showroom to display their products. Anthem Signs produced these hanging signs using chains for a distinctive industrial look. The signs are wrapped in vinyl to give them an extra-special polished edge finish. Hanging boards can be used as information boards and well as delivering a strong brand identity.